This beach was rated "Good" by Ed. However, no photos or additional information was provided (see comments at bottom of this page to get filled in). The town of Cape Elizabeth, Maine, is on a promontory on the southern coast of Maine. The nearest city is Portland. Cape Elizabeth shares a border with South Portland to the north and Scarborough to the south. The town includes two islands. 1 - Ram Island is a small and unoccupied island directly adjacent to Ram Island Ledge, home of the recently privatized Ram Island Ledge Light. 2 - Richmond Island, originally inhabited by Native Americans, then English settlers, is now uninhabited except by a small herd of sheep. It is privately owned by the Sprague family, the most prominent property owners in Cape Elizabeth, whose substantial estate also includes Ram Island Farm on the mainland. Additionally, the Cape Elizabeth Land Trust, a private non-profit corporation, protects 560 acres of land for public use, maintaining a large system of connecting non-motorized trails on most. If this page has been interesting, entertaining, and/or helpful, please remember to click the "Like" or other buttons at the top of this page to share this with your friends. And by all means read and add comments below. Very disappointed with my finds. The glass was very fresh not old at all. Did find a few that were good, found two cool pieces of pottery, one with a Japanese man's face and body, one with a pink flower in the middle. PA's Lake Erie glass considered to Maine's is quite the find. Lake Erie's glass is always nice and wave tumbled. East E d Beach. S Portland. Very tiny pieces. Looked at mid tide. Unless you find pieces at low tide, its not worth going to. Crescent beach..Higgins Beach charge to enter so paying 10.00+ for an hour to get o ly a few pieces again is not worth the fee. I get much better pieces at OOB heading toward Ocean Park. Found over 500 pieces in an afternoon. Small unknown beach with small parking. Hate to tell about this but the glass just pours in this place. Some fresh & some more weathered. Found 3 handfuls of small to medium pieces in an hour - the smallest I kept was roughly 1cm and the largest I found and kept was 2.5"/7cm. The beach is reached via walking and biking path away from the center of Portland, ME. It takes roughly 10 - 15 min walking at a steady pace to get to the beach. There is an entrance to the beach itself but you can also reach it via climbing down some tricky boulders (I do not recommend this unless you are VERY sure of yourself and your footing). Towards the less populated part of the beach (it is a small strip of sandy-pebbly beach) where the boulders and larger rocks are where I found the glass. There are many that are uncooked and brown, but there are also some fairly decent pieces of white pieces as well. I found a decent nickle-sized piece of blue glass - the closest way to describe the color is that it closely resembles Pantone 284 C or 285 C.
I found two yellows, one VERY uncooked, the other very cooked (uncooked: 1 cm, cooked ~ 3cm). I also found a very odd piece of brown glass with what looked like a leopard print pattern. Overall pleasantly surprised that I found as many decent pieces as I did. Not the most idea spot for showier colors but good for a walk if you're looking to relax and hunt for glass (I thought of it like a search exercise). 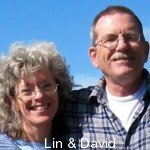 Any photos of Cape Elizabeth sea glass? I was wondering if anyone has photos of the sea glass that I might find at Cape Elizabeth, Maine? No luck at Crescent Beach at all! 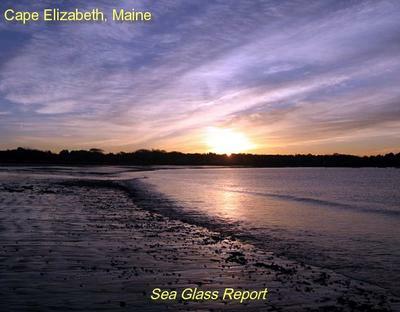 Read about Crescent Beach & Cape Elizabeth online last week when looking for a good sea glass beach. Left NH & arrived early at the state park entrance-didn't open until 9am. The Park Attendant suggested kettle cove park/beach a minute up the road-and said it was free. Drove up for an hour or so. No glass. Went back down to Crescent beach - costs 6.50 per person for out of state cars (had my Mom with me) (4.50 in state). Paid & was walking to the beach when the attendant saw me- she said, "hey, you made it back." Stopped to chat/explain that we were looking for sea glass. She says, "oh, you won't find anything here. They comb the beach." We walked out anyway-sure enough-nothing. Immediately left, stopped at the gate, got my 13.00 refunded-which was a nice thing. So we tried driving the ocean-side road up through Cape Elizabeth into So. Portland. All we saw was a long series of "private drive" signs. So if folks are having luck in this area, specific location info would be great. hi all....we were at these beaches over Labor Day week. The hurricane had just passed and we found some good jewelry grade pieces at Crescent Beach (common colors-green,brown and clear) and some nice pieces of pottery. Cape Elizabeth had better pieces of pink,purple and quite a few aqua. It is really fun to find the rare stuff. There were lots of small pieces of green, brown and of course clear...all together we probably had a couple of pounds from our trip. Next - we're off to the big island of Hawaii!!! 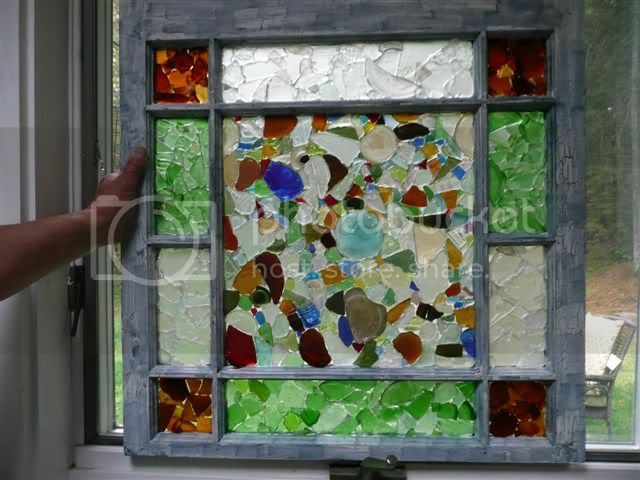 Or anywhere there is sea glass. If you have access to public islands on LI Sound, you stand a better chance of finding sea glass at low and mid-tide.